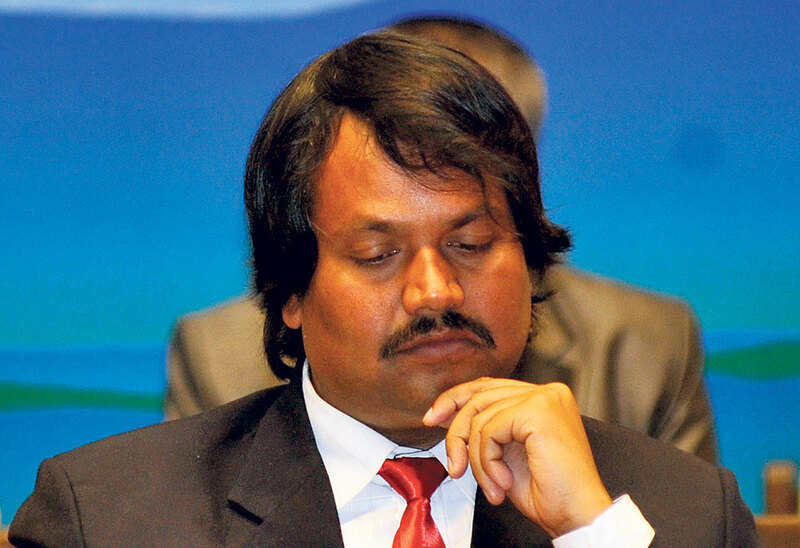 LAHAN, March 18: CK Raut-led Alliance for Independent Madhes (AIM), which recently renounced the demand for secession, has unanimously endorsed an 11-point agreement signed with the government indicating that it would join the mainstream politics. The outfit’s two-day gathering started in Lahan on Sunday. At the outfit’s first gathering since the signing of the agreement with the government, AIM leaders were allowed inside the meeting venue only after producing citizenship cards or government-authorized identity cards. Also, the AIM banner put up at the meeting venue did not have the ‘Free Madhes’ logo. The meeting welcomed the agreement signed between Raut and the government. “All council members of the party welcomed the agreement and extended their support to implementing the deal. 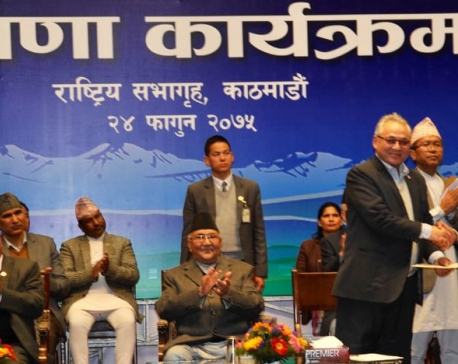 We are discussing our future course of action,” said AIM leader Sudipraj Kushwaha. As many as 200 delegates from 22 districts of the southern plains have gathered for the meeting at Marwadi Sewa Sadan in Lahan. Shortly after Raut inaugurated the meeting, five young girls welcomed him and put garlands around his neck. When Raut reached Lahan from Janakpur for the gathering, a large number of security personnel were present at the gathering venue. But AIM cadres didn’t allow police inside the meeting venue. Raut’s guards also barred the AIM delegates from taking cell phones inside the meeting venue. 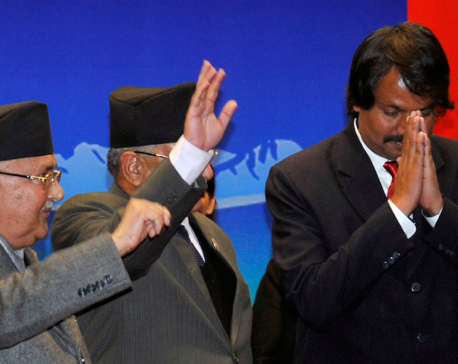 Raut reportedly briefed the party leaders on the spirit of agreement and the outfit’s course in the post-deal scenario. The meeting is said to be mainly focused on how to expand the outfit’s organization and formulate strategies to expand public support.